If you’re a Canadian who owns property in the U.S. Sunbelt, there are several good reasons why you should consider renting it out. Renting your place out can reap big benefits and go a long way to paying your costs. A large number of Canadian snowbirds who own vacation homes in the U.S. are already renting out their homes for part - or all - of the winter season, according to Alain Forget, Head of Sales and Business Development at RBC Bank in the U.S. Renting out your U.S property is not for everyone, and is probably not worth doing for snowbirds who use their property for themselves 5 to 6 months of the year. For many couples, one often retires before the other, or one has some consulting work or volunteer obligations in Canada so they can only get away for a month at a time. These couples can cover a lot of their costs by renting out their home when they are not able to go. Forget says that when the Canadian dollar is low, he sees a significant increase in snowbirds renting out their vacation properties for a few months to offset the cost of living in the U.S. for part of the winter. Taxes – You may be subject to both U.S. and Canadian tax on the rental income. Be sure to seek advice from a tax expert in both countries as to your obligations. Insurance – You will need to notify your insurer that you will be renting out your property and make sure you have adequate coverage while your property is rented out, i.e. for your property and contents, as well as liability insurance for slip and falls and other injuries. Property Management – Engaging the services of a reputable property manager or caretaker is important, as they can help you find and manage renters, handle any issue your renters may have with the property and inspect it after they vacate. Personal Possessions - If you rent you will need to remove your personal possessions or lock them in one closet, empty your fridge, cupboards and freezer, and avoid having valuables out while you are renting. Rental Agreements - It is essential to have a proper signed lease or contract with your renters that complies with local rental laws. You should also get as much rent up front as reasonably possible and a security deposit. Naturally, your ability to rent out will increase during the peak period from January to March, but in many areas, you can also rent for November, December and April, but charge less rent. Similarly, in the summer you may also be able to rent, but finding renters may be more challenging and you will likely get only a fraction of the rent you can get in the winter months. One big exception is in the Orlando / Kissimmee area of Florida, which is a year-round rental market and a great place to buy a rental property as an investment. For many snowbirds, giving up a month or two of the winter to generate rental income is well worth their while, but if you’re a “full season” snowbird, this likely isn’t an attractive option for you. How Much Rent Can You Charge? Rents vary widely depending on many factors including location, type of property, season, etc... They can range from $1,000 a month to $6,000 or $7,000 a month. Before you decide to rent, make sure you do your homework on rental rates for comparable properties in your area during various seasons. Websites like Craigslist, Airbnb, HomeAway and VRBO can be helpful resources to determine how much rent others are charging in your area. South West Florida – During peak season from January to March, a 2 or 3 bedroom condo or villa in a gated golf and country club with tennis and a pool would go for $3,500 to $4,000 a month. Plus, you often have to temporarily transfer your golf membership for a renter to be able to access the golf course, which will fetch you an additional few hundred dollars. Arizona’s Scottsdale Area – During the peak winter season from January to April, a 2 bedroom condo in a gated golf community would run about $4,000 a month and a townhome or single family home would rent for $5,000 to $6,000 a month. Under the right circumstances, generating rental income can be a great way to help you purchase a vacation property with a relatively small down payment, financing the rest of the purchase through a mortgage and using the rental income to pay down your mortgage. For other snowbirds, rental income can help offset the ongoing costs of owning a vacation property or the annual costs of spending your winters abroad every year. And for those snowbirds who don’t need the rental income to help them afford a vacation home or the snowbird lifestyle, the additional rental income can simply be used to enhance your lifestyle. Just remember that you will have to pay various taxes on the rental income you generate, as well as fees to your property manager or rental agency. Accordingly, it’s important to figure out your net rental income after these expenses so you know how much cash you’ll be generating from rental income that you can actually spend. For more information on taxes, consult an expert and check out our tax tips article. If you are considering buying a property in the U.S. with a view to renting it out or using it yourself, there are financing options you should consider to help you pay for your vacation home over time. Have you considered refinancing your U.S. home? If you already own a home in the U.S. and you’re looking to access additional capital by renting it out, you may also want to consider refinancing your U.S. property using a Home Equity Line of Credit (HELOC). HELOCs can also be used to access capital to buy a second property in the Sunbelt as an investment that you can rent out for several years. 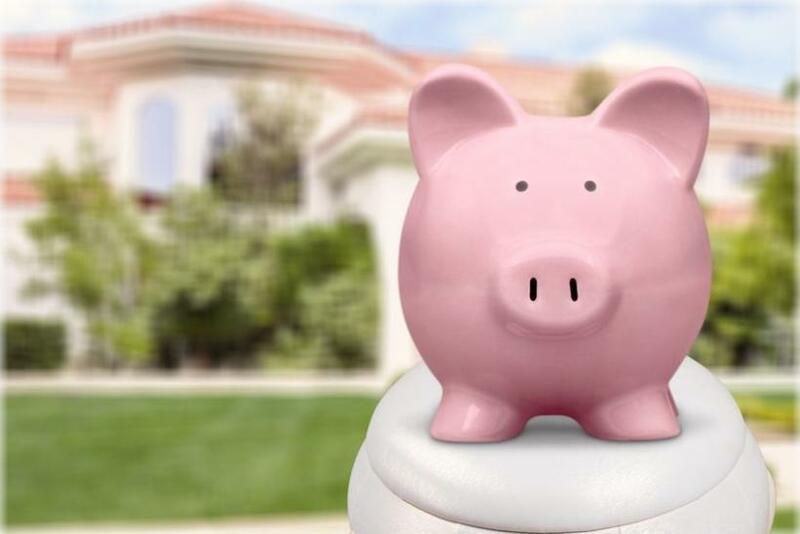 According to Forget, if you already own a home in the U.S., refinancing can make sense if you have built up equity in your home, the value of the home has increased or you own the home outright, and you are looking to unlock the equity in your property. Canadians can learn more about refinancing your U.S. real estate here.